Stuck between homes for longer than you thought? No matter how well you plan your move, sometimes things don’t work out perfectly. Your home may sell faster than you anticipated or your new home’s construction may fall behind schedule. Any situation like this can leave you and your family in an apartment or rental house for a short period of time. While this is a relatively minor inconvenience, the details can be complicated. For example, what do you do with all your furniture and belongings while you’re between homes? Are South Carolina self-storage facilities your only option? Smooth Move mobile moving containers are the answer. Our team will come to your home and pack up your belongings in our mobile storage containers. Or, pack it yourself. Either way, we’ll treat your things with the same care and attention as we do when you hire us for moving services. Our storage containers are well-built, leakproof, weatherproof, and will protect your belongings while they’re in transit. Once everything’s packed up, we’ll deliver your mobile moving container to our secure indoor facility. Your things will be safe and sound in our climate controlled, temperature controlled warehouse. We have numerous security features in place to protect everything that’s under our care. You won’t have to worry about anything when you choose Smooth Move for storage services. We’re fully licensed, bonded, and insured for your protection. When you’re ready to get your things, just give us a call. We’ll carefully deliver your storage container to your new home. We’ll unpack and move everything just where you want it. You’ll see why our great customer service has made us one of the best local moving companies in our area. Our employees are respectful and honest. They’re also experienced in packing and moving homes of all sizes. We pride ourselves on being the best mover in town. But we aren’t happy with just saying it. We work hard every day to make sure that it’s true. And that doesn’t happen unless you believe it, too. 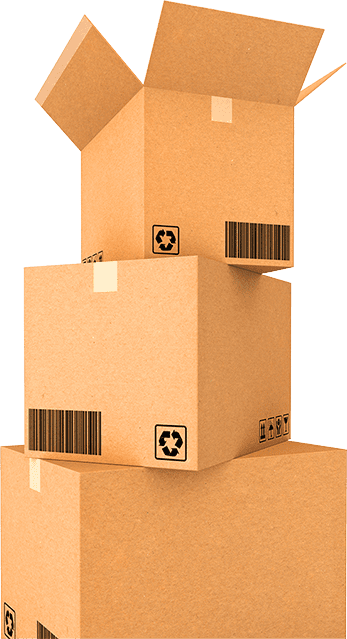 So when you asked for a storage solution that made sense for your moving needs and was backed by our low-cost guarantee, we listened. Our storage solutions are designed to cater to the particular needs of people who are moving like no other. Some places offer off-site facilities, but you have move your own things. Some places offer mobile moving containers, but you have to find a place to put it. That can be difficult when you are between homes. Our mobile storage containers are movable and we can store them in our secure, climate controlled indoor facility where they’re protected from harsh climate conditions. Plus, we pack them, deliver them, and unpack them on your schedule. With temporary, long-term, and climate controlled units available, we have a mobile storage solution to meet your needs. 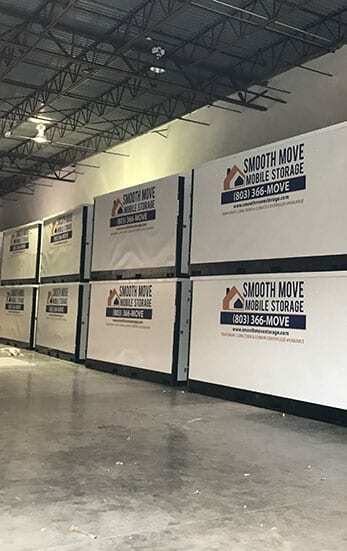 If you need storage near you, call us to learn about pricing and scheduling options for Smooth Move mobile moving containers. Capacity: 895 cubic feet and up to 10,000 lbs. Mobile storage units will save you a time, money and makes for a much more efficient storage process. The need for a truck and having to unload at a public storage facility is eliminated. This same need is eliminated AGAIN when you move out of a public storage facility. You’ll also never have to worry about carting your belongings over a long distance just to get to your storage unit — and no more waiting for elevators. We appreciate the opportunity to serve your storage needs! Please contact us for current pricing and availability. Call or fill out the form today to learn about pricing and scheduling options for Smooth Move portable moving containers. Our storage containers are currently available for clients in the Rock Hill and Charleston, SC areas.